Al Qaeda in the Arab Peninsula is on the rise and has over 4,000 fighters despite a massive US-led crackdown. Saudi Crown Prince Mohammed Bin Salman (MBS) should be removed from power, says Prince Khaled bin Farhan, a distant member of the royal family who lives in exile since 2013. 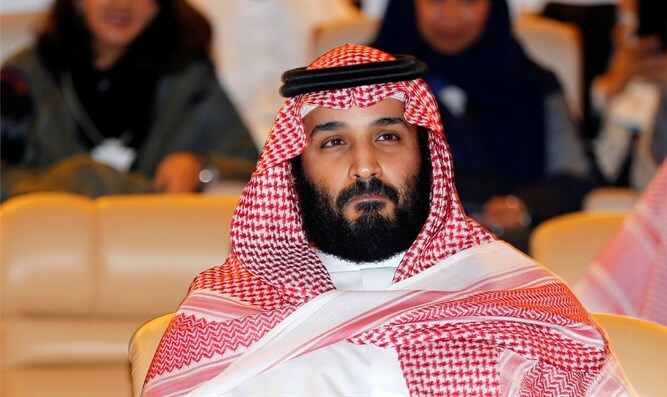 The dissident prince claims there is a lot of resentment within the Saudi royal family after MBS arrested and detained prominent members of the House of Saud during a nationwide purge last year and robbed them of a part of their fortunes which the Crown Prince said were obtained by corruption. "It was a shock for the entire family because prominent figures in the family were detained in a way that held a great deal of humiliation. It was a shock for the entire family. The family is now facing the undermining of its standing in the eyes of the people. And this will inevitably undermine its legitimacy," Bin Farhan told The Middle East Eye news site. The former Saudi politician, who admits he has a personal grudge against King Salman and his son Mohammed, also claimed MBS has developed “psychological problems”. MBS has introduced sweeping reforms in the oil-rich kingdom including an overhaul of the religious education system and recently spent a month in the United Kingdom and the U.S. where he met with Jewish leaders. During his visit to the U.S. MBS also met with Trump’s Jewish Mideast peace team Jared Kushner and Jason Greenblatt who are working with him on a comprehensive proposal to end the conflict between Israel and the Palestinian Arabs. MBS was harshly criticized for his tour through the U.S. and his meetings with prominent Jews there - and not only by Al-Jazeera. Al-Qaeda’s possible future leader Hamza Bin Laden, a son of Osama Bin Laden’s third wife Khairah Sabar, whose ancestry dates back to the Prophet Mohammed, labeled the current leadership in Saudi Arabia “agents of the Americans” and called for a revolt in Saudi Arabia. After 9/11, Hamza Bin Laden and other Al-Qaeda operatives fled to Iran where he was educated in the spirit of his father Osama, killed by U.S. Special Forces in Pakistan on May 2, 2011. In 2015, Hamza was introduced by current Al-Qaeda leader Ayman al-Zawahiri to the mastermind of the attack on the Twin Towers in New York in 2001. “We will destroy them today,” MBS said during his US tour about the Islamist ideology Wahhabism and promised Saudi Arabia would become a “normal country” again. Al Qaeda in the Arab Peninsula is again on the rise and has today over 4,000 fighters despite a massive US-led crackdown on the group in Yemen. The organization also has the support of a significant minority of the Saudi population. Ten percent of the Saudis thought ISIS and Al Qaeda weren’t perversions of Islam at all. Al-Qaeda is already active in Saudi Arabia and could have been involved in a mysterious attack on the royal palace in Riyadh on April 21. The Iranian newspaper Keyhan, which is considered as the mouthpiece of Iran’s Supreme Leader Ayatollah Ali Khamenei, even reported MBS could have been killed during the attack which involved heavy shooting. The Saudi Crown Prince has not been seen in public since and also didn’t attend a cadets graduation ceremony in King Abdulaziz military college last Saturday night. MBS holds the defense portfolio in Saudi Arabia. so his presence at the ceremony would have been natural, according to Fars News in Iran. In an apparent attempt to refute the Iranian reports, Saudi officials on Sunday released a photograph showing MBS together with Egyptian president el-Sisi and the leaders of Abu Dhabi and Bahrain after a meeting in Egypt last week. It is obvious, however, that MBS’ agenda of modernization in Saudi Arabia and his radically different approach to the Palestinian Israeli conflict has already made him a good many enemies and could lead to the come-back of Al-Qaeda.